Planning your website is much like planning your holiday. If you rush into things, your hotel might be crappy, the surroundings without anything to do, and you might even pay way too much for it. Here, I’ll explain the process of planning a (new) website from scratch. And make that process clear by highlighting similarities with planning a holiday. You can set deadlines all you want, if the purpose of your website isn’t clear, you might as well not set up a website. It’s like planning a trip without thinking about what kind of trip you want to make. Spending two weeks on a beach is totally different from hiking from mountain top to mountain top. If your website is solely a brochure, don’t mind optimizing the website, if I can be that blunt. If you only have a website so you can refer people to it for more information, get the cheapest website you can find, make sure to put a logo and some text on it. If you want people to contact you or subscribe to your newsletter, SEO becomes important. You might want to focus on local SEO, or do some proper keyword research to make sure you have the right, optimized information for your visitor. Make it as easy as possible for a visitor to contact you. For instance show your phone number in all the right places or add forms or email links in spots where you feel you’ve convinced them to send you an email. An eCommerce site obviously needs a different approach. Be sure to think of a proper category structure and start optimizing landing pages for predefined target audiences. Think of great introductory content for your category pages and set up your call-to-action on every page. Optimize your homepage to show all shopping ‘aisles’ of your website. Of course, you can come up with more variations, like websites that mainly provide information or websites that have a business model based upon ad revenue. It’s very important to think about what kind of website yours is or will be. Keep that goal in mind during the entire process of creating or improving your website. This is tougher than you might think. A website owner might have a different idea about of the main purpose of a website. The goal of your website depends on what you want to get out of your website. It is much less about what your website can do for your visitor. Sounds manipulative? Perhaps it is. If you plan a trip, your destination is obviously very important. You can combine hiking and leisure. But if your goal is just sipping Martini at the beach, you don’t want to end up in Nordkapp. For your website, this is pretty similar. A website meant to establish contact with new customers, has a different look and feel than a website that is meant to support existing customers, for instance. The core of your site will be different. Finding that main, core element your website revolves around can be hard. 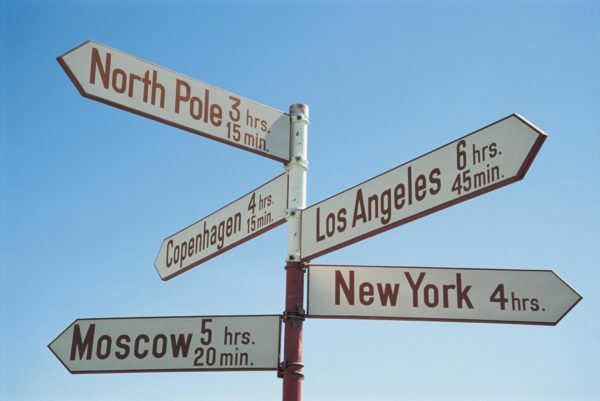 As it can be to pick a destination for your holiday. Take a look at the website of your local car dealer. He might occasionally sell a used car, but chances are most of his business is about repairs and service and not per se sales. Especially if he’s not selling a specific car brand. His website, however, probably has the newest used cars listed smack in the middle of the homepage. Ask yourself “what’s my main business” and make sure that that business, or proper content about it, is the centerpiece of your website. The ‘destination’ of your website shouldn’t stop you to plan day trips to other locations, by the way. Will you be planning day trips? Where do you want to go sightseeing? In your website, there should be a proper internal link structure to all the other good stuff you want to present your visitor. At Yoast, we often refer to this as setting up cornerstone content. We actually wrote about that a couple of times. Optimizing your website isn’t just about writing that one main page about your main subject, but it is about optimizing all pages related to that as well. If you are selling trips to Paris, just one page about Paris as a whole doesn’t cut it. In addition, you also want a page about the Notre Dame, the Tour Eiffel, and the Sacré-Cœur, just to name a few. These could be your cornerstone pages. Plan your trips to these pages by adding links on the appropriate pages of your website. By linking these pages from related pages, your cornerstone content becomes easy to find for both Google and your visitor. As you don’t want to take the same day trip every day, don’t keep linking to the same cornerstone content from every page. Instead, decide what cornerstone content is valuable for that specific page. 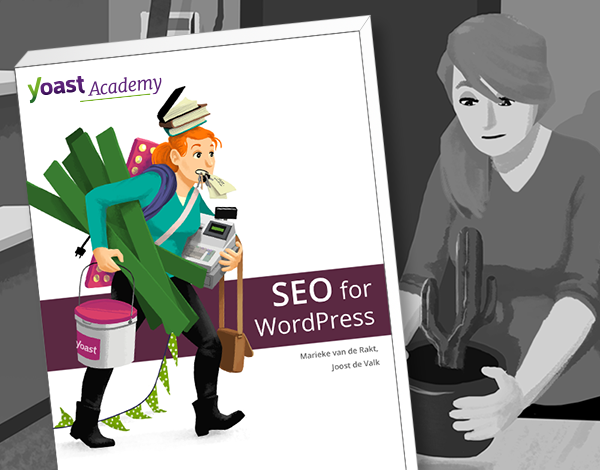 An example: it would make no sense to add a link to Yoast SEO for WordPress here. What travel agency should you use? Why would you want to try to book that entire trip yourself? Your main business is probably not building websites or writing content. It is convenient to use a web partner that knows what plugins to use or how to optimize your images for speed or mobile. It simply means you don’t have to worry about any of this, as is the case when using a travel agency. All will be taken care of. Choosing the right travel agency or web design company / web developer can be hard. There are web design agencies on every street corner. We are often asked which companies we recommend for the implementation of our advice. So we created a list of implementation partners. We know these companies, have seen their work and know and like their approach. If you are looking for a local developer instead, check our friends at Codeable.io, as they have set up a great marketplace for local WordPress developers. Simply post your job there, and get quotes delivered right to your inbox. Pick the travel agency that is best for your voyage. And what budget should you reserve? As with your holiday, a new website, or adding improvements to your website, will cost you money. There is no standard for this, but let me assure you that a good developer comes at a certain price. Do you think you can get a new website for $699? You can’t. If your web design agency or web developer charges $699 for a website, start running and never look back. It’s like booking a trip, arriving at your destination only to find out that the trip did not include an accommodation. Where it initially appeared to include that. Paying $699 for a website is a start, but your developer will charge you for every email you send and every feature request you mention. Buy cheap and waste your money. As mentioned, there is no golden rule for your budget. Just keep in mind that people ‘window shop’ online as much as offline. Your store just has to be appealing, and your door should be open at all times. And yes, that will cost you money, depending on the project you have in mind. Having built and sold my share of websites, I can tell you with 100% certainty that you will talk to your web designer or developer a lot after your website goes live. It will help if you hire a trustworthy, client-friendly company. A company that doesn’t just do what you tell ’em to, but shares knowledge and helps you to lift your online presence to a higher level. Don’t be afraid to pay for that. Of course, there is more to planning your holiday. And more to planning your website. As you will understand by now, there is a lot to consider. But as your holiday is meant to relax after working hard for all these weeks, so is a properly planned website. You don’t build a house without thinking about the foundation first, right. Make sure you have answered the questions above first, and then start designing that website. It’ll be a nicer trip that way!